Join us at the LA Art Book Fair and get a copy of The New Farmer’s Almanac! Hickory Hill Farm is now Hiring! Garry and Susan Shaw own Hickory Hill Farm along with their daughter and son in law Jennifer and Josh Johns. Hickory Hill Farm is a generational family farm and Josh and Jennifer are the sixth generation to farm the land. The farm is a 204-acre tract of land located in Oglethorpe County in North East Georgia in Glade community just north of Lexington, GA. The land, now known as Hickory Hill Farm, was given to Susan’s family as a land grant by the State of Georgia in 1852. In 2009, the family made the decision to move the farm into an organic, sustainable, four season, intensive vegetable operation and at that time Hickory Hill Farm was established. It has been a lot of work but worth every minute of it. It is definitely a lifestyle and we love it. Hickory Hill currently has eight acres under USDA Organic Certification and is growing fruit and vegetables year-round for the Freedom Farmers’ Market at the Carter Center in Atlanta and Athens Farmers Market Bishop Park and Creature Comforts in Athens, as well as, Collective Harvest CSA and local restaurants. Garry, Susan, Josh, and Jennifer are attempting to recover a way of life for their family and save their generational heritage in farming. Garry and Susan are most excited to introduce their grandchildren to sustainable farming and land management. Josh and Jennifer now have three children, and their hope is to pass healthy, viable land on to them one day to own and manage their own farming endeavors. We believe deeply in healthy local organic food, being a good steward of the land, educating consumers about their food, as well as, creating change in the “Food Movement” in our country. Hickory Hill is currently looking to hire a full-time crew member to join our team beginning immediately. We are searching for a dedicated individual who desires to learn the ins and outs of organic vegetable farming. The right person has the potential to join our team year-round. Hours are Monday through Friday 8 to 5, 7 to 4 in the heat of the summer. Possibility of occasional Saturday work. Sunday’s off. We work in the heat and cold. You will work side by side with farm owners and other farm workers. Field work including planting, cultivating, weeding, harvesting, stringing tomatoes, pest control and monitoring drip irrigation. Cleaning up fields for cover crops or other plantings. Taking down and putting up portable caterpillar tunnels. Working in hoop houses managing crops and weeds. Processing vegetables if needed, which includes washing, sorting, and packaging produce. May include working with cattle, sheep, pigs, and chickens. And great organic veggies for your fridge! Hickory Hill Farm is also looking for a Packaging Coordinator. 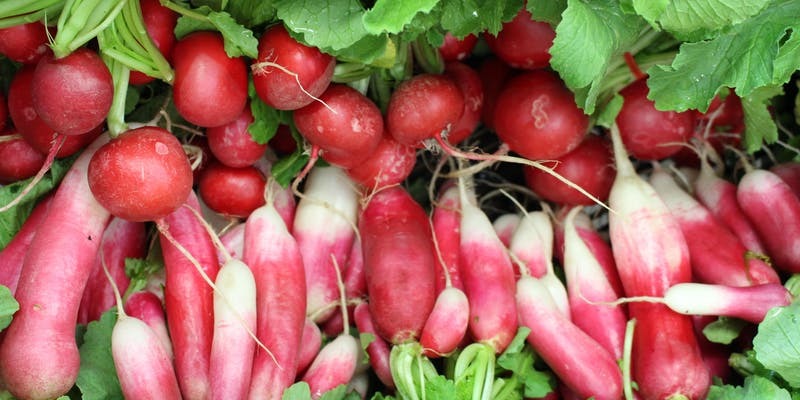 We package produce for Retail Markets, CSAs and Restaurants Monday thru Friday. We grow a wide range of produce and have specific guidelines for packaging. You would need to be able to handle several tasks at once. Harvesters are bringing in produce that will need to be weighed in and logged into a harvest record and then packaged and recorded for various Markets, CSAs and Restaurants. Please email Farm Position, tell us why you are interested in our farm and organic sustainable farming and anything else you think we’d like to know or any questions you may have. Please give us a brief job history. We will send you an application if we decide to interview you. Leave a Comment on Hickory Hill Farm is now Hiring! Greenhorns presents: Down East summer camp series! Join us this Summer in Down East Maine for our annual summer camp and workshop series! This summer we will be sharing space with some amazing guest teachers and speakers to engage with our local communities- both in the natural world and human. 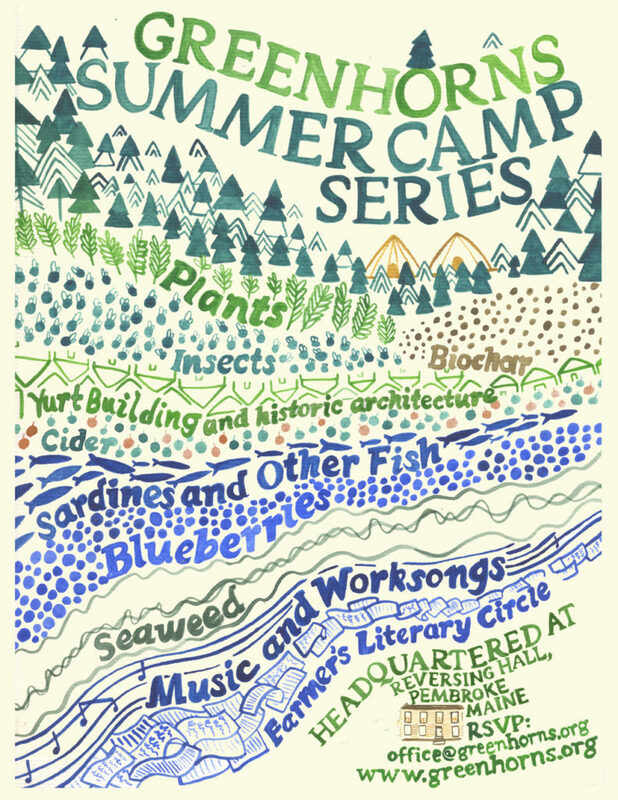 We will be celebrating our New Farmer’s Almanac, re-wilding nutrient cycles, healing land through poetry, touring civic architecture, discussing seaweed (and everything about it), learning and singing work songs (while picking blueberries), exploring insect life, plant life, and library craft. We will be hosting only the dreamiest camps where we learn to can, smoke, and pickle fish in Sardine camp, engage with feral apples, Down East apple cider, and the commoning of it all in Cider camp, or spend two weeks learning how to build a family sized yurt in yurt camp. The whole month of August is dedicated to blueberries- and celebrating the last sweet bits of Down East summer on Smithereen Farm and at our HQ Reversing Hall where we will partake in conversations, movies, workshops, fried clams, U-Pick blueberries, local beer, and world class kayaking. BYOT (bring your own tent), stay in a Tipi, or book a place. Come solo or bring the whole family along. Check out www.discoverboldcoast.com for more activities suggestions, hotels, campsites, restaurants, and cultural offerings. Head to our events calendar to get more details and learn about our special teachers and guest speakers. Spaces are limited, so book your spot now. Contact office@greenhorns.org to RSVP and for more info! Leave a Comment on Greenhorns presents: Down East summer camp series! Temple Wilton Community Farm seeks Dairy Assistant and apprentices! Temple-Wilton Community Farm is one of the first community farms in the country and helped shape the “CSA” concept which has spread around the world. Our work is directed towards developing an entirely new culture founded on the cultivation of individual freedom, equal rights, and a conscious meeting of economic needs. Towards that end we apply biodynamic practices to create a wholistic farm organism and strive to develop new economic structures directly informed by the realities of working with nature. 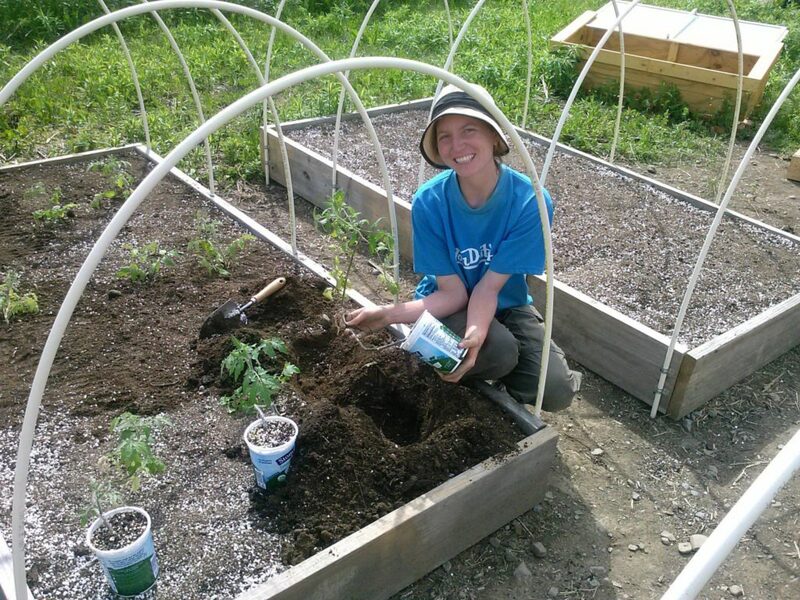 Temple-Wilton Community Farm is seeking both a Dairy Assistant and seasonal Apprentices in vegetables, livestock, and cheesemaking for the 2019 growing season, running from the beginning of April through the end of October. If interested, there are also possibilities to stay on longer. Inquire for more information. This individual could either have enough experience to step into this role at the onset, or be prepared and willing to grow into the responsibilities. Apart from the dairy, with up to 15 milking cows, the job would also include the care and maintenance of ~200 layer chickens as well as work related to the pastures and haying. We are seeking someone who will find themselves supported and inspired by the work we are doing with the land, the wider cultural life of our community, and the collegial atmosphere among the farmers. This is uniquely articulated in the farm’s original Aims and Intentions (https://www.twcfarm.com/history-of-the-farm). If you resonate with these intentions and strive to bring them into practice with dairy cows, please contact us. To support this work you will be provided with a private bedroom in a beautiful apartment, access to all foods produced by the farm, WiFi, and a base stipend of $750-$1,250/month depending on experience. 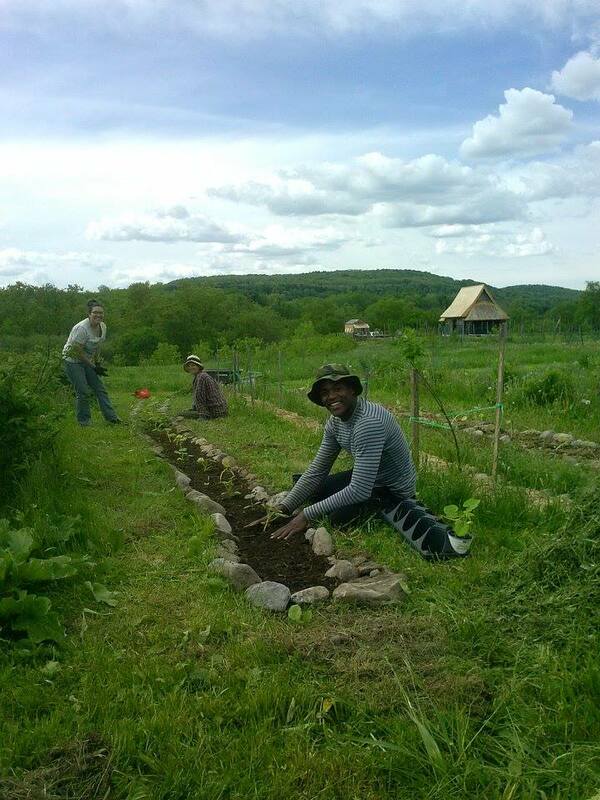 Apprenticeships tend to focus on one area of work, however there is flexibility to accommodate those interested in more than one aspect of the farm.Vegetable work includes all facets of planting, cultivating, and harvesting over 40 different vegetables and herbs for our community farm members, as well as regular applications of the biodynamic preparations. Livestock work includes all aspects of milking and caring for an approximately 15 cow dairy herd, and attending to a flock of laying hens. Cheese-making work includes all aspects of making and marketing a great variety of hard and soft cheeses, as well as yogurt. Throughout the first two weeks of April we will take time to hone our observational skills and develop our understanding of biodynamic agriculture which we will practice and carry through the ongoing season. During the main season, the rhythm of the work is determined entirely by the needs of the farm, so our schedules must be very flexible. However, you can anticipate having at least one day off per week. To support this work you will be provided with a private bedroom in a beautiful apartment, access to all foods produced by the farm, WiFi, and a base stipend of $400-$750/month depending on experience. If you are interested in working with us in the vegetable fields or with the livestock please contact Jacob Holubeck at jaholubeck@gmail.com, or call him at 603-831-1213. If you are interested in making cheese with our small and diverse creamery, please contact our friendly cheesemaker Benjamin at bjonas.meier@gmail.com. Leave a Comment on Temple Wilton Community Farm seeks Dairy Assistant and apprentices! 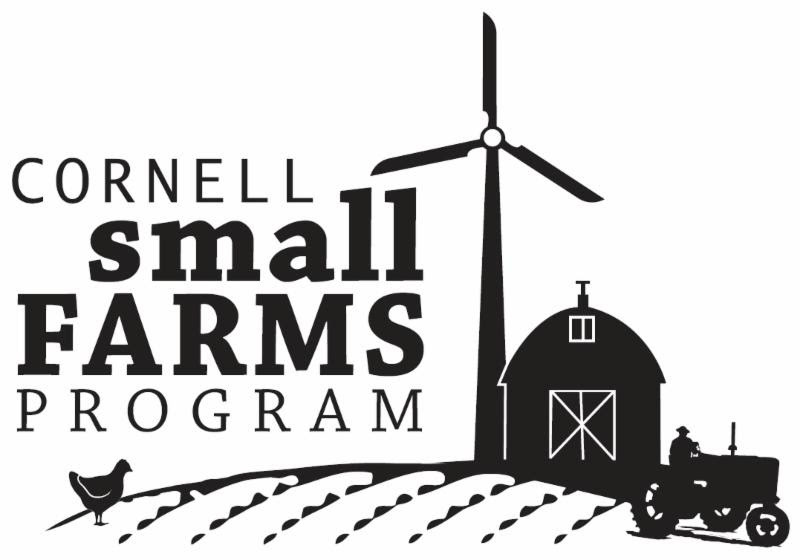 The Cornell Small Farms Program, through the Labor Ready Farmer project, has grant funding available to offer one-on-one technical assistance to beginning farmers, including next generation farmers on family farms, on different labor and workforce management needs. This “Smart Farming Team” grant funding is available for up to 20 eligible farms. 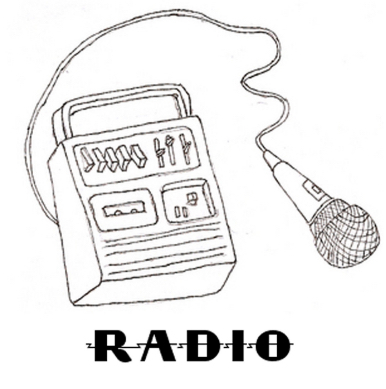 Greenhorns is currently seeking a part time radio producer so that we can restart our beloved podcast series. If you are interested in a full job description of this role please send a cover letter, resume, and three references to office@greenhorns.org. Deadline for applications is Thursday, February 28th. 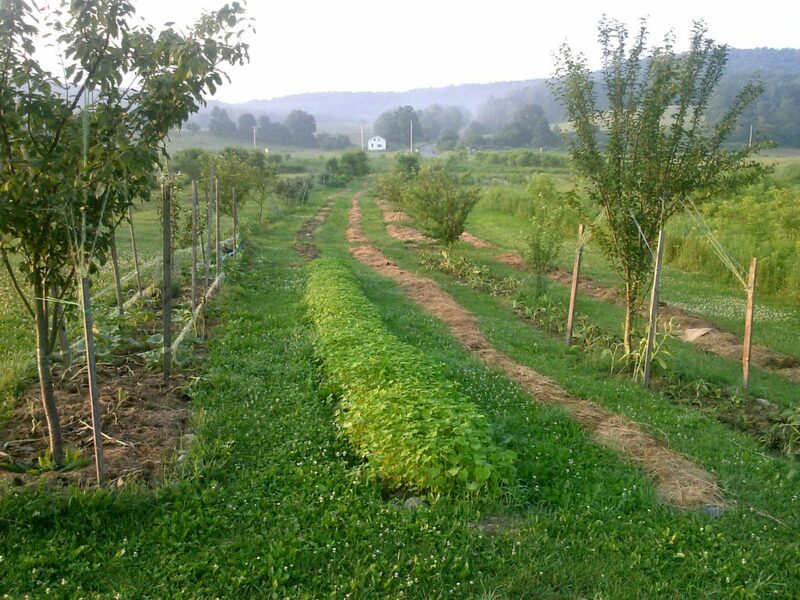 Unadilla Community Farm is seeking community members to live & farm cooperatively on 12 acres in Otsego County, New York! Founded in 2013, Unadilla Community Farm is an off-grid solar-powered organic fruit and vegetable farm and permaculture education center. Our mission is to provide a space for the teaching and practice of sustainable skills. Currently, we have 4 farm members (2 of whom live on-site year-round) and a crew of seasonal interns. We’re seeking additional members who want to live and work with us cooperatively. We grow a diversity of cold-hardy organic fruits, vegetables, herbs, and mushrooms, following the principles of agroforestry, organic agriculture and permaculture. We are establishing a regenerative food forest with over 50+ varieties of fruit and nut trees and berries. 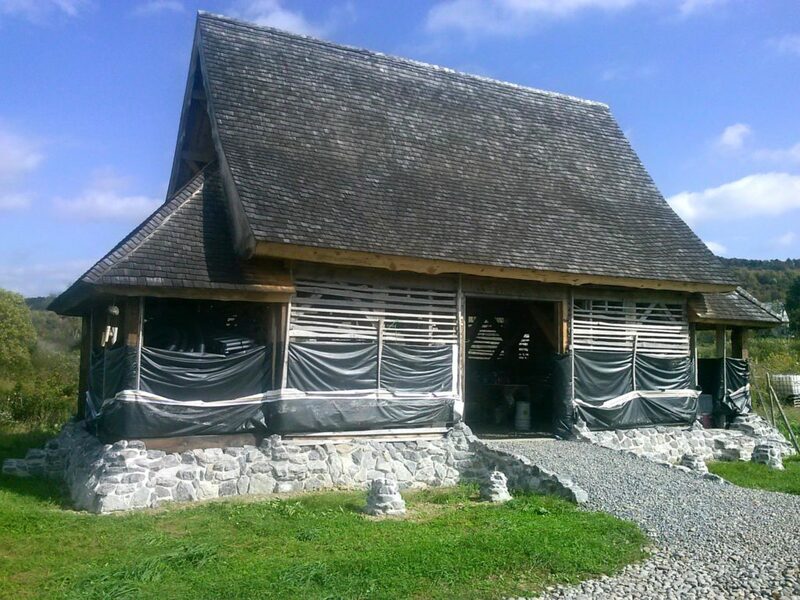 We’re also currently building our infrastructure from the ground up, using natural building methods and local + salvaged materials. We have completed a self-sufficient tiny home, and are in the process of building a barn and converting a school bus into another tiny home. Potential members are invited to live and work with us for a trial period of at least 3 months during the growing season, with the opportunity to move in full-time if it seems like a good fit. There are several pathways to communal landownership that we can pursue, depending on the interests of new members. Our project is run cooperatively, so new members are invited to share their unique skills and ideas for communally driving the project forward as we expand and diversify. Visit our website for more details about our work – and please email us at unadillacommunityfarm@gmail.com to get in touch! And please share this with your networks. 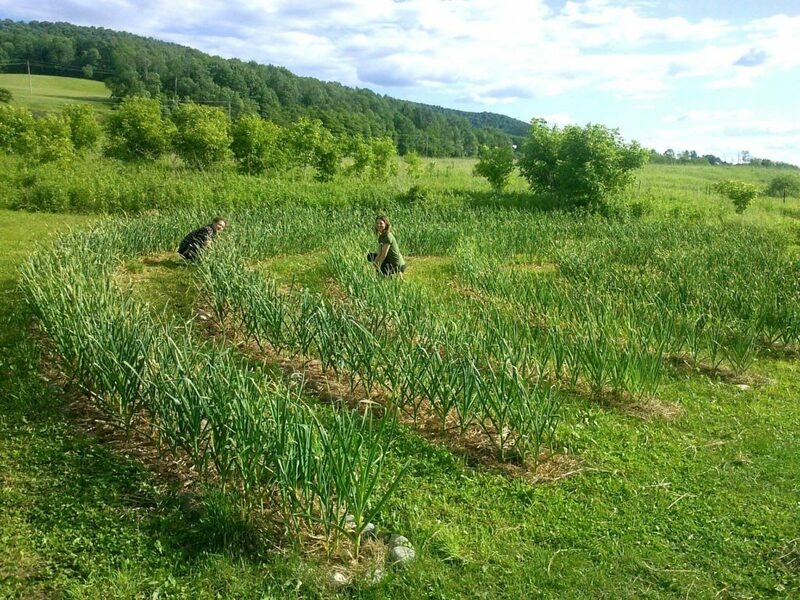 Leave a Comment on Unadilla Community Farm is seeking community members to live & farm cooperatively on 12 acres in Otsego County, New York!